Our mission at Shoreline Animal Hospital is to create a lifelong partnership with each client and their four-legged friends that will allow us to provide exceptional, individualized medical care to meet each of their unique needs in a compassionate, respectful, and thorough manner. 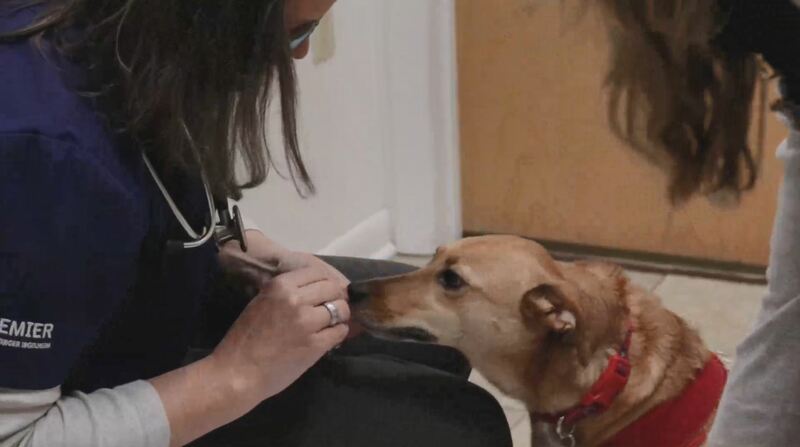 Through a team approach including the client, veterinarians, and our highly educated and well-trained healthcare team, we will strive to exceed your expectations in everything we do to ultimately promote and prolong the bond you cherish with your pet. We hope that you will choose to become part of our family and our story at Shoreline Animal Hospital. Please stop by or call to introduce yourself and get to know us. We strive to exceed your expectations in all that we do. Housecalls are available by appointment during regular business hours. For the best care of your pet, after hours emergencies are referred to one of the local emergency hospitals that are fully staffed and equipped to provide emergency medical and surgical services during nights, weekends and holidays. Additionally, we offer referrals to board certified veterinarians who specialize in surgery, ultrasound, cancer treatment endoscopy, ophthalmology, and dermatology. Thank you Shoreline Animal Hospital for making the veterinarian transition for me and my babies so easy! After my old vet retired last year, I decided to make the move to Shoreline. Best decision I ever made! Everyone is so friendly (dare I say, even the front desk workers!). The doctors and the vet techs are caring and loving with my boys when I take them in. Our family is so grateful for the care that Dr. Berman, Dr. West, and ALL of the support staff provide for our yellow lab, Sebastian. For the last 3 1/2 years, they have provided excellent care to him. It is obvious the genuine love and care they have for their profession. They are informative, always full of smiles, welcoming, and wonderful with all my poodles and pups! I brought my cat Maple there for her first nail clipping since I got her and they were amazing! They kept her calm and they were quick and did a wonderful job! I even had a quick discussion with the vet and was suggested a supplement that has helped her significantly and has made her fur so soft!